The state's top elected leaders unanimously oppose offshore oil and gas leasing in waters outside the Beaufort and Chukchi seas in the Arctic and Cook Inlet in Southcentral Alaska. Alaska’s governor and Congressional delegation are urging the Department of Interior to limit offshore oil leasing to the three most prospective areas — the Beaufort Sea, the Chukchi Sea and Cook Inlet. In letters and public comments, Gov. Bill Walker (an independent), Sens. Lisa Murkowski and Dan Sullivan and Rep. Don Young (all Republicans) said Interior’s proposed five-year outer continental shelf leasing plan should be modified to eliminate planned sales on other federal waters off Alaska. The Trump administration’s draft 2019-2024 program, released on Jan. 4, seeks lease sales in all designated basins of federal waters off Alaska, with the exception of the North Aleutian Basin, which in 2014 was placed permanently off-limits to oil development by the Obama administration to protect salmon-rich Bristol Bay. While they applauded the proposal for more lease sales in the Beaufort, Chukchi and Cook Inlet basins, the elected officials said there is no need for the proposed sales in the 11 more obscure regions that stretch from the Bering Strait to the Gulf of Alaska waters off Alaska’s southeastern panhandle. “We believe the strongest near-term offshore program in Alaska is one that focuses on the Chukchi, Beaufort, and Cook Inlet. Such a program will maximize agency resources and reflect the areas with the broadest support for development among Alaskans,” said a Jan. 26 letter sent by the Congressional delegation to Interior Secretary Ryan Zinke. Walker, in a statement Tuesday, said the Bering Sea and Gulf of Alaska lease sale options should be dropped to clarify that Interior is concentrating on the most prospective offshore areas. He also said Interior should retain in its leasing plan two no-leasing buffers to protect areas used by Inupiat whalers in Utgiagvik and Kaktovik, as well as a 25-mile no-leasing buffer along the entire Chukchi coast that has been in place in past years to protect subsistence resources and subsistence food gatherers. Comments from the state and other interested parties are due on March 9, said Austin Baird, Walker’s press secretary. Walker, in a Jan. 19 letter to Zinke, also asked for the department to consult with tribes and local people and to hold public meetings on leasing in the affected Alaska areas. The Bureau of Land Management has scheduled a single Alaska public meeting on its draft five-year plan, and that is set for Anchorage. The original date was Jan. 23, but it was postponed to Feb. 21 because of the brief federal government shutdown. Of all federal waters, those in the Beaufort Sea — an area off the coast of the existing North Slope oil infrastructure — have had the most oil development. The 31 exploration wells drilled there to date have not resulted in any production from federal territory except for a small slice of that coming from the Northstar field, which is located mostly in state territory. Northstar was developed by BP Exploration (Alaska) Inc. but is now operated by Hilcorp Energy Co. Hilcorp is seeking to develop the Liberty prospect in the Beaufort as the first producing Alaska oil field located entirely in offshore federal territory. 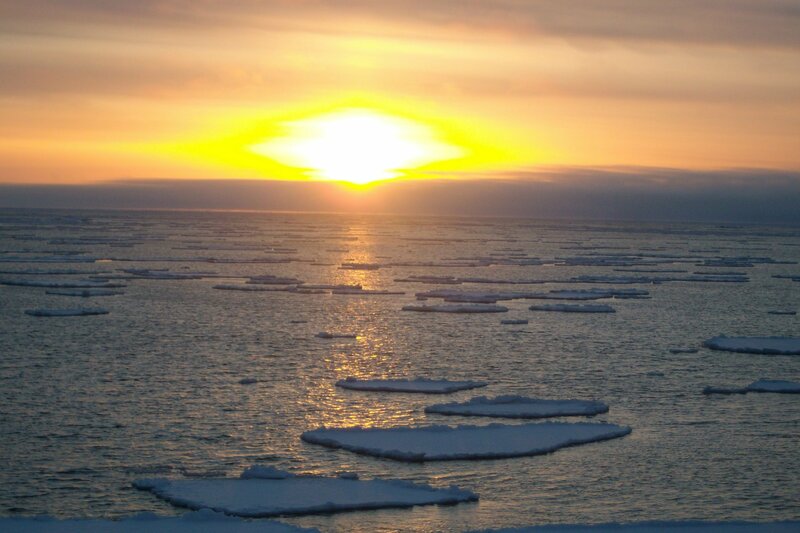 In the Chukchi, there have been seven wells drilled, six of them by Royal Dutch Shell. The last two were part of Shell’s recent exploration program, and one of those was only a top-hole project that did not penetrate into oil-bearing rock. Shell abandoned its Alaska offshore exploration program in 2015 after declaring that it had failed to find commercial quantities of oil. There has been oil exploration in the past in some parts of the Bering Sea and Gulf of Alaska, but the mid-1980s was the last time any wells were drilled there. Inclusion of the northern Bering Sea areas in the five-year leasing plan angered tribal leaders in that region. Harry Lincoln, chairman of the Bering Sea Elders Group, said Tuesday that tribal representatives had been very clear in talks with the Congressional delegation, BOEM and White House representatives that they do not want any oil development there. Beyond dropping the northern Bering Sea from the leasing program, Lincoln said the Bering Sea Elders Group is strongly advocating for the resurrection of protections put in place by President Obama but overturned by President Trump. “We are fighting to reinstate that executive order, word for word, as is,” he said. The Obama executive order establishing a Northern Bering Sea Climate Resilience Area put the region off-limits to oil development, established some safety rules for shipping traffic that is expected to increase as ice-free seasons lengthen and established a formal system for tribal and local consultation on any management decisions or policies in the region. Trump in April signed an executive order that scrapped that program. Yereth Rosen is a longtime Alaska journalist and a 2018 Alicia Patterson Foundation fellow.